The legendary Sugar Ray Leonard expects Kell Brook’s world welterweight title defence against US prodigy Errol Spence Jnr to do greater good for the image of boxing than the showbiz spectacular being hatched between Floyd Mayweather and UFC star Conor McGregor. Leonard, who ranks alongside the immortal Sugar Ray Robinson as one of the two greatest mid-sized fighters in ring history, is infinitely more excited by the prospect of a serious battle in the steel city of Sheffield this Saturday night than of Mayweather pocketing an easy $100million in Sin City come the autumn. ‘These two young men,’ says Leonard of Brook and Spence, ‘have the talent to remind the world what boxing should be all about. When this fight was first mooted I favoured Spence clearly. But the closer it gets the more intrigued I’ve become about an even and potentially outstanding fight. ‘It will be better for boxing than Floyd v McGregor, even though that will make a load of money. 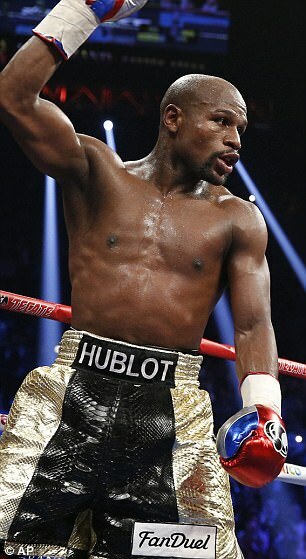 A mixed martial arts fighter has no chance in a pure boxing match against someone as good as Floyd. 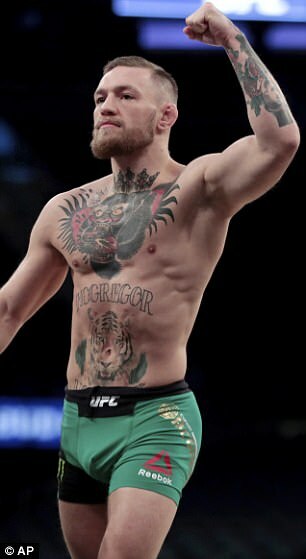 ‘It could only be interesting if the UFC guy was allowed to kick as well, the way that Japanese kick-boxer did against Muhammad Ali back in the day. But this one will be embarrassing. Mayweather will be expecting his 50th career victory, which would lift him clear of the 49 wins and no losses record he shares with Rocky Marciano. But it is Spence, not Mr Money, who Leonard believes has the potential to echo the golden age he shared with Thomas Hearns, Roberto Duran and Marvin Hagler. He says: ‘In our day there was a plethora of fine boxers in the welterweight division. Not just the household names but other guys who could have become famous had they been given a shot. 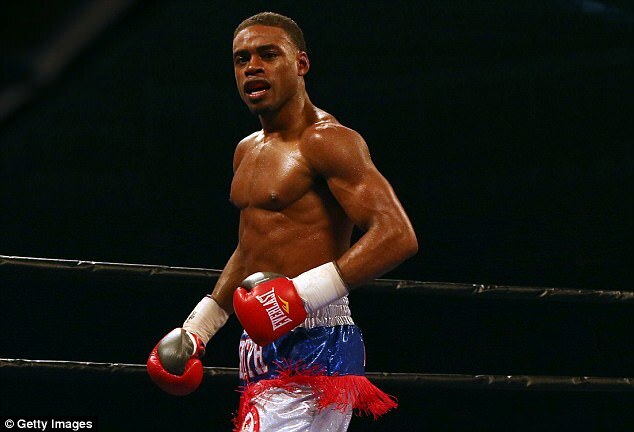 ‘Now Spence looks as if he could become the new superstar. He is the full package. An exceptional boxer who is also a very nice guy outside the ring. He is one of a couple I could pick out with the potential to inherit our legacy. ‘But this is the fight where he has to prove it. There’s so much riding on it, for both of them. Errol is coming to challenge a good, tough IBF champion in his home town. This is his first world title fight, his first time boxing in another country, his first experience of a big hostile crowd in a stadium. ‘I think he will cope with all that but neither he nor us will know for sure until he gets out there. He has all the ability but has to deal with it psychologically. ‘Then Brook is naturally bigger at welterweight. If I was Kell I would try to put it on him from the start, even though Spence has yet to be taken beyond eight rounds. Let Spence feel what it’s like when you get hit by someone five or 10 pounds heavier. There’s a difference, believe me. 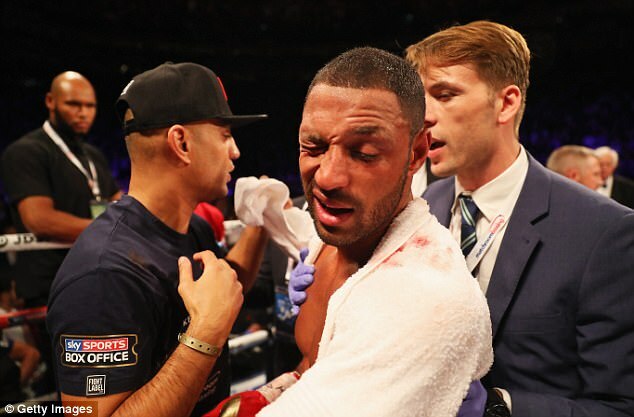 Brook has not fought since his eye socket was broken by Gennady Golovkin when he ventured up to middleweight and suffered the only loss of his career. Brook hopes that inflicting a first defeat on Spence will earn him increased respect. Leonard says: ‘If he squashes Errol’s dream in an exciting fight, America will want to see more of him. But the prize is bigger for Spence. ‘The fans in the US love him already and if he puts on a show in the UK, maybe knocks out Brook, he will become huge. I can’t wait to see what happens. As opposed, he might have added, to the predictability of Mayweather running boxing rings around McGregor.